This guide is intended to provide an overview of resources available at the University of Pittsburgh Oakland Campus for research and study in the field of Anthropology. The University of Pittsburgh's Department of Anthropology offers BA, MA, and PhD degrees with geographical and topical specialties in all the field's subdiscplines: social and cultural anthropology, biological (physical) anthropology, archaeology, and anthropological linguistics. Students are able to focus within their own subfields while also gaining a holistic and comprehensive understanding of the field as a whole. 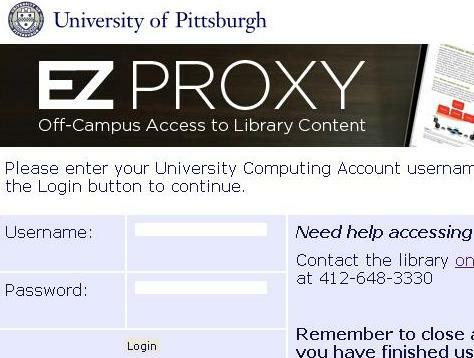 In order to support academic coursework and research in anthropology, Pitt's University Library System (ULS) offers a full complement of resources, including books, journals, databases, and audio-visual materials, which are accessible to all University affiliates. This guide offers an overview of these resources. The majority of Pitt's printed books and journals in the field of anthropology are in Hillman Library, the central library on Pitt's Oakland campus, located next door to Posvar Hall (home of the Department of Anthropology). Hillman Library also contains a computer lab on its first floor and a service and information desk, located on the ground floor, where students and faculty can receive assistance with their information needs.